Debuting in 2013, BTS started out with a hip-hop sound and image, but have since changed and explored their sound over the years. The seven members in the group include Rap Monster, Jin, Suga, J-Hope, Jimin, V and Jungkook, all who have been increasingly hands-on in the process of writing, recording and producing their music. In 2017, the group became the first K-Pop boy group to win a Billboard Music Award, gaining popularity with both American audiences and artists. Within months of their newly found international success, BTS released their fifth mini-album, “Love Yourself: HER.” Compared to their previous releases, this album is heavily influenced by the western artists that the group is influenced by, combining EDM with pop and hip-hop. “Best of Me” was a collaboration with popular duo, The Chainsmokers, who composed the track and sent it to BTS for the album. The chorus gives off a simple, catchy beat, making it the perfect song for you to mindlessly tap your feet and bop your head to. 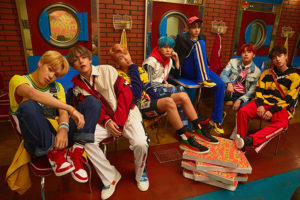 With the release of their new music video on September 18, “DNA” became BTS’ most watched video with almost 21 million views in just 24 hours. 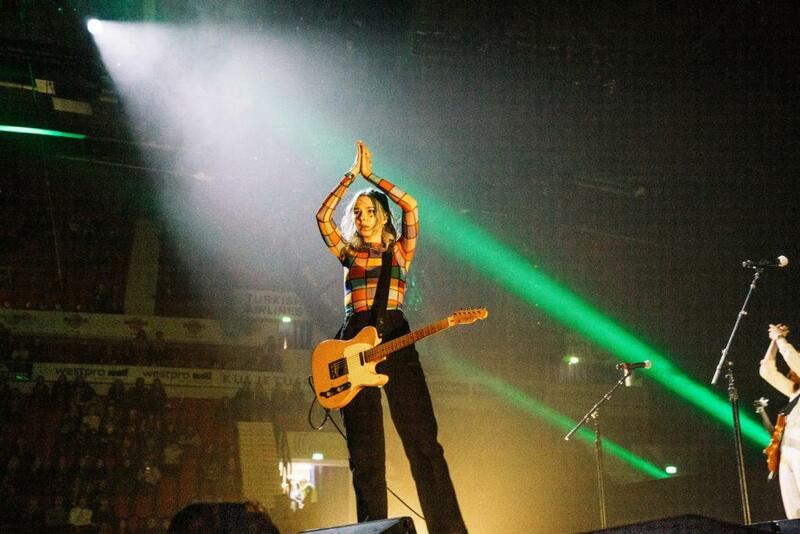 The song starts off with melodious whistles, followed by the strumming of acoustic guitar before V comes in with a low, raspy tone. Gradually, the tempo increases leading up to the chorus, where the beat drops into a syncopated dance break for the boys to show off their intricate choreography. The video introduces a lot of bright colors and gives a galaxy-type of vibe to it, highlighting the song’s upbeat and joyful sound, which is overall a different direction from their usual serious side. 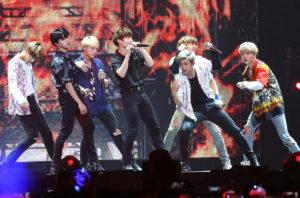 BTS performing onstage at KCON 2016 at the Prudential Center on June 25, 2016 in Newark, New Jersey. Photo by Paul Zimmerman/Getty Images. As a gift for their fans, BTS included a hidden track in their physical CD titled “Sea,” an incentive for fans to be a part of a special connection that is only felt through the boys and their ARMY. Overall, “Love Yourself” may not be their best album to date, but it’s still very enjoyable and worth the listen, especially if you’re just now discovering this powerhouse group. Listen to the full album on Spotify!